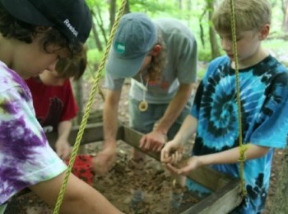 The Lutherlyn Environmental Education Program (LEEP) offers outstanding learning adventures for all ages. 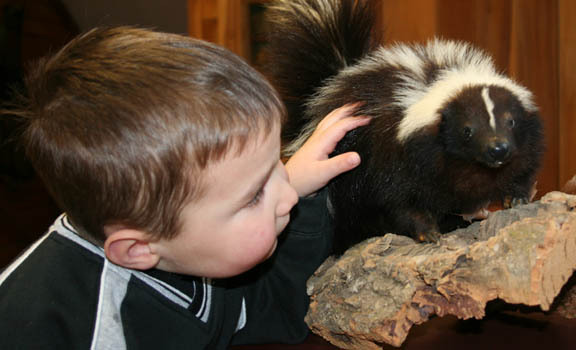 LEEP is renowned throughout western Pennsylvania for its high quality, science-oriented programs. Whether you are looking for a school field trip, an educator workshop, a church youth group activity, a scout program, a service project, or a family outing, LEEP has opportunities for you. Explore 660 acres of deciduous forests, coniferous plantations, streams, lakes, wetlands, meadows, fields, sites of Native American activity, a maple sugar shack, sites of early European settlement, and the first straw bale house built in Pennsylvania. For more information, to talk to our Environmental Education Director, or to make a reservation, please contact the Lutherlyn Environmental Education Office at leep@lutherlyn.com or 724-865-9079. Bring your students for the day and pack a lunch, or stay 2,3, or 4 nights in our comfortable cabins with full dining facilities. Tour a house made of straw-bales and learn about alternative energy, sustainable lifestyle, and recycled products. Check out our blog! 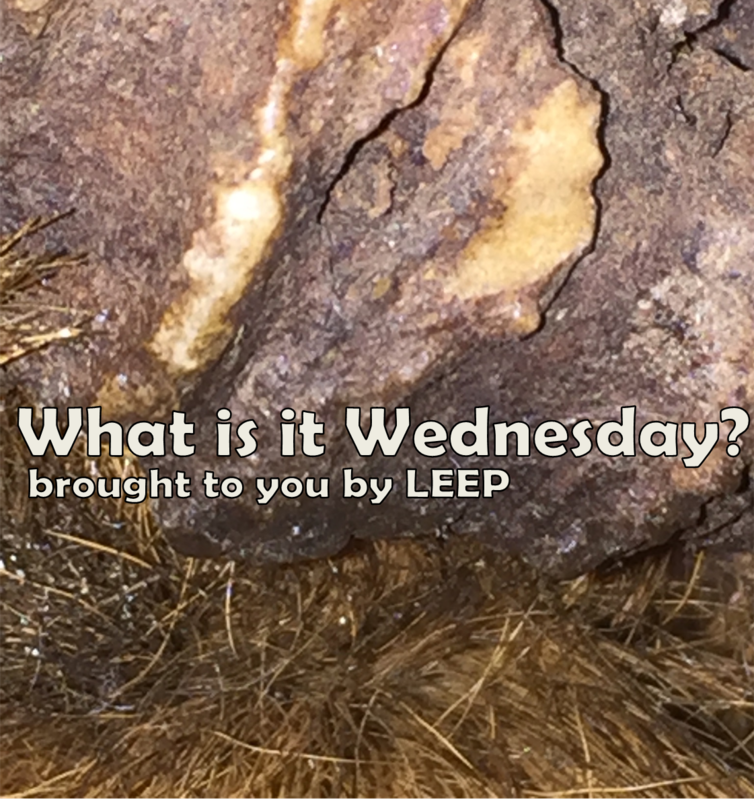 Can you identify what's in this week's photo? These program offerings are designed for individuals and families of all ages and make great weekend activities. LEEP serves public as well as private schools. Specific program elements are available to be included in private, Christian school groups. 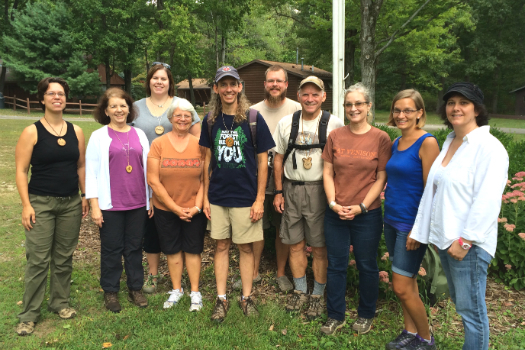 Teacher Workshops, conferences, scout projects, and group outings. Todd Garcia-Bish is the Director of Environmental Education at Lutherlyn in Prospect, Pennsylvania. He holds a bachelor’s of science degree in chemistry from Gettysburg College and a master’s of science degree in environmental science from Indiana University in Bloomington, Indiana. 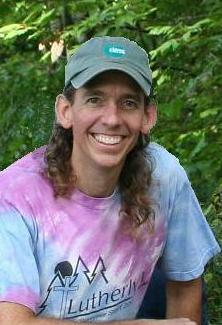 Todd has been the Director of Environmental Education since 1996. He was a camper at Lutherlyn for 10 years and served on summer staff. He began his career at Lutherlyn in 1993 when he was hired as Director of Applied Environmental Science. Since coming to Lutherlyn, Todd helped to begin the Maple Sugaring Program, oversaw the construction of Terra Dei Homestead, and greatly expanded the public and private school field trips that occur every fall and spring. Todd is supported by his beautiful wife, Shayne, and their children, Juliana and Micah (who help Todd maintain a sense of wonder). 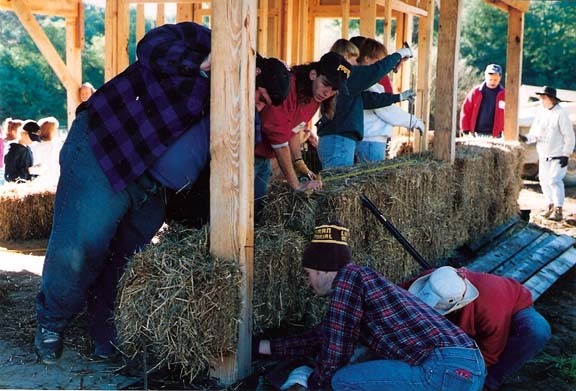 Together they have recently constructed their own straw bale home that they use to educate students, friends, and neighbors about energy conservation and sustainability. 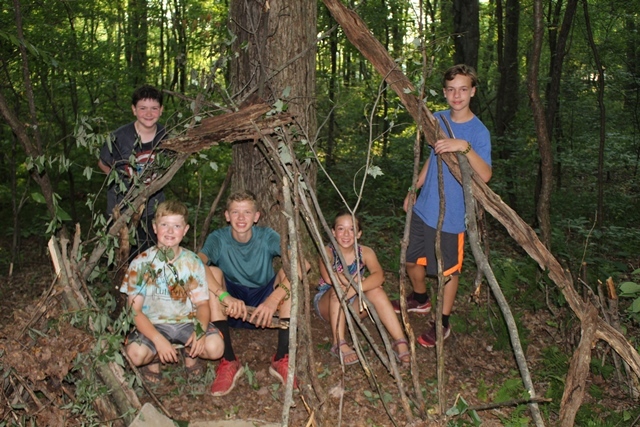 Enter the world of nature by following our Environmental Education Directors as they write about the programs and outdoors at Lutherlyn.